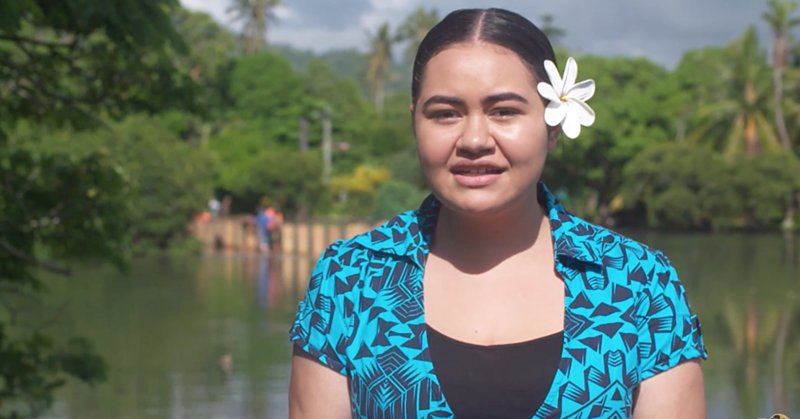 Love was certainly in the air at St. Therese Accommodation and Retreat, Leauva’a, on Friday. 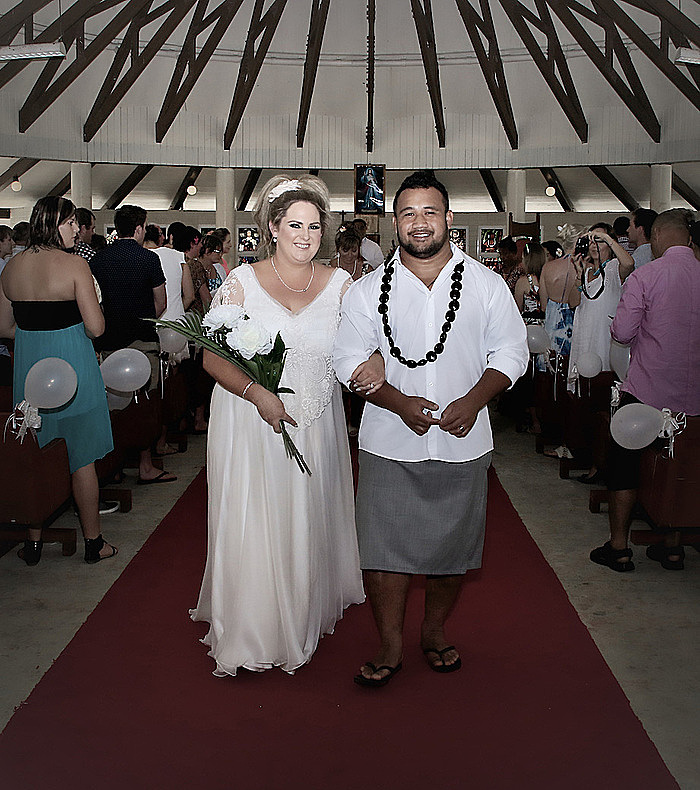 The beautiful surrounding of the place provided the perfect backdrop for Mata’afa Anitele’a and Bridie Ann Henson to begin their journey as husband and wife. The pair exchanged vows before God and in the presence of their families and friends, to love and cherish each other until eternity. The bride, Bridie Ann Henson is 25 years old and she is a High-school teacher. She is the daughter of Kay and Russel Henson from Christchurch, New Zealand. The groom, Mata’afa Anitele’a Mata’afa is the son of Mata’afa Petelo and Atusamoa Mata’afa. He is 32 years old and from the village of Lufilufi. 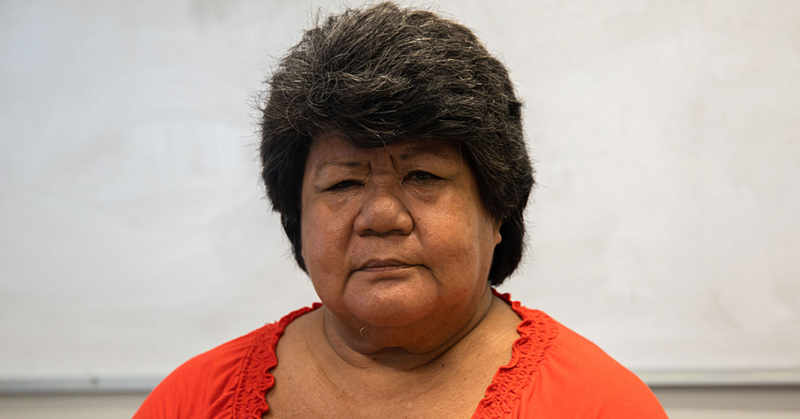 Mata’afa described his wife as beautiful, gorgeous, warm, funny, loving and friendly. Mata’afa proposed to Bridie about a year and a half ago. 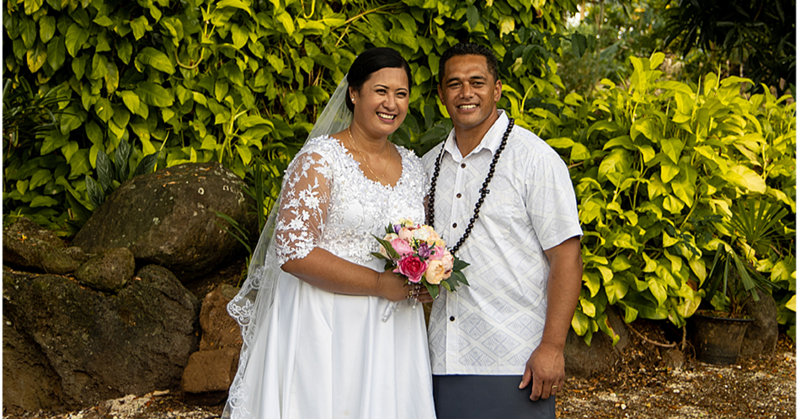 They could have had the wedding in Christchurch where they both reside, but Mata’afa said he wanted Bridie’s family to have a taste of the Samoan culture. This is why he insisted to have the wedding in Samoa. “Her whole extended family and friends from all around the world are here. And I wanted my family to witness this special day and I wanted Bridie’s family to see our country and experience our culture. The newlyweds were joined by their families and friends from New Zealand, Canada, Australia, England and Samoa at a reception held at the St. Therese Retreat and Accommodation.